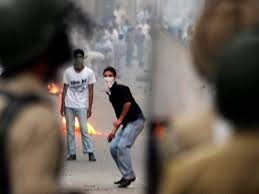 Even though Kashmiris are struggling for their independence since 1947, it has been smoldering for nearly three decades. A fuel to the raging fire has been added by recent proceedings in the Indian Supreme Court, where a petition has been filed challenging the constitutionality of Article-35A, which recognises certain special privileges and rights for the permanent residents of the state. The Indian media, which has started leaning to the right, has created a frenzy and passions are running high in favour of striking down Article 35A. Let’s examine what is the significance of this Article and its place in the entire issue of Kashmir and what implications would like flow in case such an eventuality occurs. The status of Jammu and Kashmir as a state within the dominion of India has been a problem from the very beginning. A state that was predominantly inhabited by Muslims had a Hindu ruler who entered into an accession treaty with India on 27 October 1947 while the Indian troops were airlifted to Srinagar a couple of days earlier. The hostilities that broke out with Pakistan were a result of Indian occupation of Jammu and Kashmir and subsequent UNSC intervention for cessation of those hostilities and holding of plebiscite in the state to ascertain the will of the people regarding its future. India, even though it went to the UN first, would devote all its energies in scuttling these resolutions. Rather than holding the plebiscite, the Indian government embarked on manipulating political forces to contrive an arrangement that could be used to frustrate the notion of the ‘will of the people’ used in the UNSC Resolutions. On 27 October 1951, Pt Nehru succeeded in coercing the General Council of National Conference to pass a resolution to convene state Constituent Assembly for determining the “The Future shape and affiliation of the State of J&K”. The Security Council took strong exception to this move. While rejecting it the Council reiterated of its earlier Resolutions and observed that the final disposition on the state is to be made in accordance with the Security Council Resolutions of 21-04-1948, 03-06-1948, 14-03-1950 and the UN Commission on India and Pakistan (UNCIP) resolutions of 13-08-1948 and 05-01-1949 through an impartial plebiscite under the UN auspices. The Council affirmed that the convening of Constituent Assembly and any action that assembly might attempt to take to determine the future shape and affiliation of the entire state or any part thereof would not constitute a disposition of the state. India was not deterred by such UN Resolutions. In his book on the conflict, Historian Alastair Lamb writes: “the objective of constituent assembly ‘to determine the future shape and affiliation of State of J&K’ appeared to conflict with the resolutions of Security Council, which was also endeavoring in rather different ways to decide on the future of the state, a question which it considered to be still subjudice. Jawaharlal Nehru also saw advantage in the constituent assembly, as it would reinforce the argument that Sheikh Abdullah’s National Conference really did represent the will of the people of J&K and the election to which it gave rise could be presented to the world opinion as a substitute for a plebiscite”. Realising that the proceedings of the Assembly would take time, and given the need for a diplomatic weapon to blunt UN Resolutions, he ventured to “obtain from Sheikh Mohammad Abdullah, some interim definition of the kind of relationship between the Indian Union and the State of J&K that would in due course emerge. Above all it would be extremely useful to have the ambiguities of the interpretation of the word ‘accession’…. clarified”. On Nehru’s invitation Abdullah sent a high level delegation led by Mirza Afzal Beg and comprising senior Kashmiri leaders from National Conference and Opposition. He also joined later and signed what has come to be known as ‘Delhi Agreement’ between National Conference and Jawaharlal Nehru, on 24th July, which he later outlined in Srinagar to the J&K Constituent Assembly on 11-08-1952. After a while Sheikh Abdullah turned against the agreement and wanted to retract. He was arrested and Constituent Assembly was again coerced to adopt a constitution on 17-11-1956, to be enforced in full from 26-01-1957, section-3 of which declared the state of J&K is and shall be an integral part of India. The Security Council, however, could not be misled by such crafty moves and, in continuation to its resolution dated 30-03-1951, passed another resolution on 24-01-1957, declaring once again that the convening of constituent assembly as recommended by the General Council of the All J&K National Conference and any action that assembly may have taken or might attempt to take to determine the future shape and affiliation of the entire state or any part thereof or action by the parties concerned, in support of any such action by the assembly, would not constitute a disposition of the State in accordance with the principle embodied in the UN Security Council resolution dated 21-04-1948, 03-06-1948, 14-03-1950, 30-03-1951 and the UNCIP resolution dated 13-08-1948 and 05-01-1949. The UNSC decided to continue the consideration of the Kashmir dispute in the future. The main features of the Delhi Agreement included: (1) State will have sovereignty in all matters other than defense, foreign affairs and communications; (2) State citizens would be the citizens of India, but the state would have the power to confer rights and special privileges on the ‘State Subjects’ in view of the Notifications of 1927 and 1932 [explained below]; (4) the State shall have its own Flag and Union Flag would be used alongside; (5) The Fundamental Rights provided under the Indian Constitution would be applicable to the extent adopted by the State; (6) Supreme Court would have appellate jurisdiction in the State; (7) Emergency powers conferred by Indian Constitution to the Union would be limited to the occasion of war and not of internal disturbances unless requested by the state. Earlier an interim arrangement was entered into in 26 November 1949 to pave the way for the enactment of the Indian Constitution, by inserting Article 370, in a part of the Constitution that deals with Temporary, Transition and Special Arrangements. It restricted the applicability of the Constitution of India in part in the state of J&K till the constitution of the state was finalized. Article 370 was only an additional legislative mechanism to facilitate this transition. The legislative powers of the Parliament were limited to three subjects featuring in the Delhi Agreement.